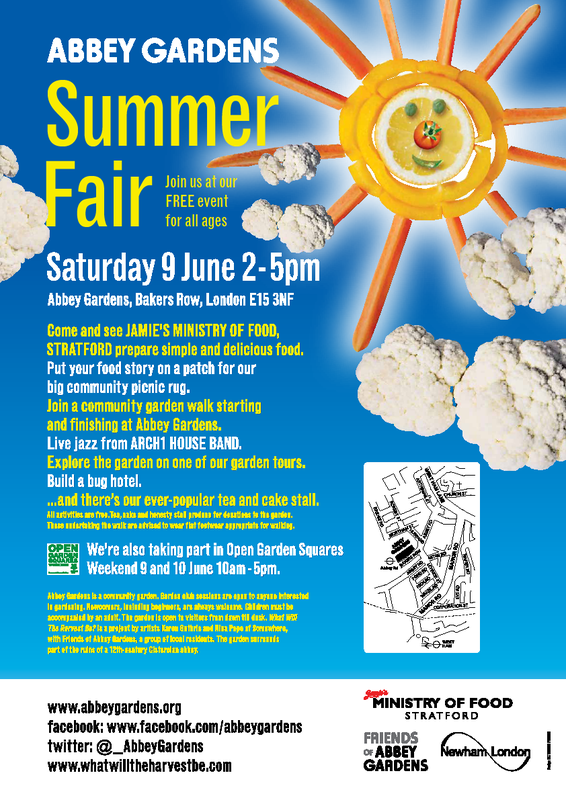 On Saturday 9 June there will be the Abbey Gardens Summer Fair in Bakers Row, West Ham, E15 3NF. Abbey Gardens is a fantastic community garden project in West Ham Ward on the site of a 12th Century Abbey. Labels: Abbey Gardens, Arch1 House Band, Jamie's Ministry of Food, newham, Open Gardens Square, Summer Fair, West Ham Ward, What will the Harvest be?